Vest is made with 100% polyester, 4-way stretch, high-density fabric that is breathable and water repellant. Extremely comfortable, practical and attractive. Makes a perfect layer and can be worn under larger outwear jackets. Our Lightweight Concealed Carry Vest is a perfect option to carry and conceal a self-defense handgun on those nippy fall days and nights. It features two large zippered concealment pockets built into the vest that have velcro strips inside so that you can position the holster where you want it based on your gun type, size etc. These pockets are extremely large and can hold a full-size 1911 or Glock 21, however, most find the best success with smaller and lighter handguns. Includes one of our new ambidextrous Universal Holsters. The key feature is that the velcro holster enables you to position and support the gun so that the weight is evenly distributed. And, based on the size of the gun you can place it where it is easiest and fastest to access. Additionally, the gun does not print or make the jacket sag or even clunk when you put it down. 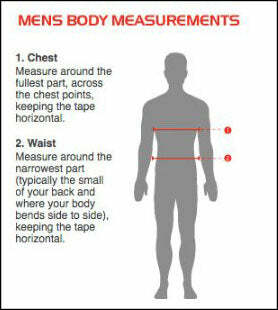 Vest measurements are somewhat tight around the waist when zipped. For a looser fit and to reduce printing, you may want to consider ordering the next size up. I bought the vest for my husband’s birthday. He absolutely loves it! Great quality and looks fantastic on him as well!! As said by other reviewers “runs small, order next size up” glad I took their advice. Wonderful vest! Able to conceal my compact 1911 very nicely. Appears very well-made of quality materials. Great look, comfortable, order size 1 larger. the vest is awesome, put it on basically forget I was carrying( as much as you can forget you are), really comfortable, doest print at all. Great product! Plenty of storage space for my G19 on one side and the rest of my stuff on the other. I ordered one size larger than I typically get and I'm glad I did. I like the option of locking my pockets as well, I don't always use it, but glad it's there. Would recommend. The original vest I received was too small - my fault. The return and exchange process was very easy to follow. Today I received my new vest and it fits perfectly. The concealed carry features, and other pockets, are exactly what I was looking for. Good product. Beautiful quality vest. Too nice for an everyday carry vest to work in. I bought this for my son in law and he loves it but I think the collar bothers him cause he is always trying to cuff it down. I think an option for a regular collar would be nice. I would like to see a light weight vest that could be worn daily for work. He owns a towing business and something he could wear daily even in the summer would be great. Its an awesome vest. Good for cold weather but not too heavy for cool weather. I love it. Great material, breathable with nice zippers. I wear a size large. After reading other reviews I got a XL and it just fits. I would purchase another one. Highly recommend to order one size up. Nice material Runs pretty small for 2x. No way to have a quick access to weapon. It does remove obvious printing. My husband loves the vest and jacket. Easy exchange fro med to Lg. High quality vest. Zippers have positive contact and grab well. Very warm for what it is and blocks any wind with ease. The inside locking pockets are a great feature but in reality will not stop someone from retrieving an unattended firearm from the vest. If need be: accessing CCW is not hard but certainly not fast. Overall it is a very sharp, quality vest. Previous reviews were correct about choosing the next size above your normal size, as in I bought a Large rather than a Medium and it fits just right. The advertisement understates that the holster will fit most any handgun but the vest has more success with smaller weapons - my Springfield XDS .45 prints to well. My Glock 42 fits well and does show through unless I stretch in a certain way. Putting something in the outside pocket might cover up the Springfield better but it would make too much of a bulge. If you are going to use a smaller profile handgun, this is a good choice. It fits great and perfect for this time of year fall going into winter you tell what I'm carrying nor do I walk any different just being myself great I love it. Comfortable & warm. Runs a little small. Large interior zip pockets. No noisy Velcro closures that fail over time. I have tried several vest to carry not just firearm but glasses, cell phone, etc. I like vest with large zipper inside pockets that position firearm deeper under arm along side. This vest so designed when most are not. Vest seems close to correct size but seems little tight maybe near athletic fit. Vest has other standard type pockets as well. Took long wait to receive this vest but worth it. Material looks excellent quality and price. Real shocker made in USA. Fits great, must order one size larger than normal.. thankfully I read the reviews prior to ordering!! Great quality material.. It functions as advertised. It is a little heavier weight than I had hoped but it is a solid vest that will definitely hold up to the job. I would recommend ordering 2 sizes larger so that it doesn’t print if you carry a compact or full size. My sub compact is perfect for the best I purchased. Perhaps the next add on could be a handcuff/mag holder with a tighter space for the mag. Like the product material but cannot conceal well. Maybe another layer between the pocket and outer layer? Vest definitely looks sharp. Thanks. Vest runs small but I like it. 3x isn't made. The material is very comfortable and smooth to the touch. Concealment is well designed. Very nice quality. A little small which keeps the weapon tight to my abdomen. This makes it slightly uncomfortable. However, I like the product more than not. I would repurchase despite this. I really love the vest. The quality is superior. The pockets are perfect ant it sits well. Mine is a little tight around the waist which may be more my fault than yours. It’s a heads up these sizes are way different the. Most sizes if you where a large Id go for xxl if you where an xl I’d go for xxxl! Otherwise the jacket is awesome made out of good material! Love it. It looks and feels good. You must buy the next size larger for sure though.